Cut four ripe peaches in half. 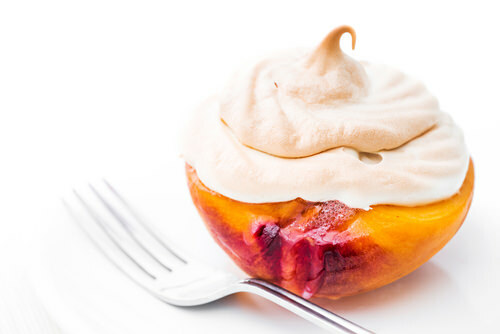 Placing peaches cut side up on a baking sheet, sprinkle each with a teaspoon of sugar and a teaspoon of lemon juice. Bake for 20-25 minutes, or until tender. Serve with low-fat frozen vanilla yogurt.